Creating a Scotland-wide informatics, imaging and genetic platform to improve Multiple Sclerosis clinical management and decision-making. Ann Rowling Regenerative Neurology Clinic, University of Edinburgh. Opened in 2013 with a £10 million donation from Harry Potter author JK Rowling, the purpose-built centre functions as centre for outpatient care and a hub for Neurological research project and clinical trials. Scotland has one of the highest rates of multiple sclerosis (MS) in the world. An estimated 10,000 people in this country have this disabling condition. When people are newly diagnosed with MS, they do not know what the future will hold. Most people experience occasional bouts of symptoms called ‘relapses’, but doctors cannot predict how often, and how severe, these relapses will be. This can make it difficult for people to make decisions about their lifestyle, work and family. People with MS, and the doctors treating them, need a tool to predict – as early as possible – how severe their MS is likely to be. This project aims to recruit people with recently diagnosed relapsing-onset MS to take part in clinical examinations, MRI brain imaging and genetics. 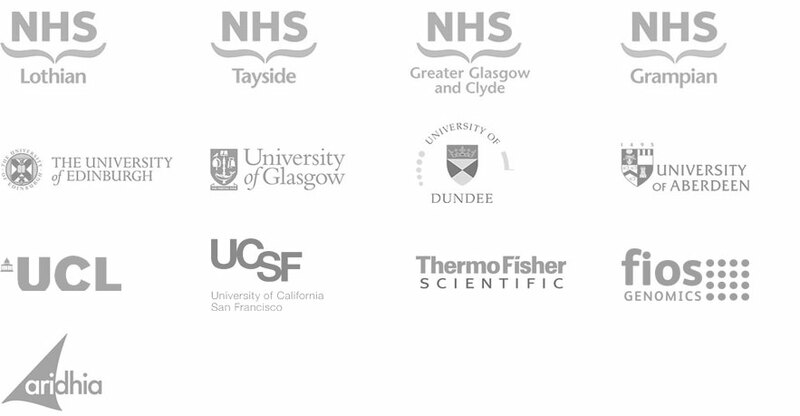 The participants can attend one of four established Scottish hubs where their imaging, clinical, health and lifestyle data is collected locally and stored centrally using the SMS Innovation Platform. Genetic samples are processes centrally and added to the high value dataset. The project focus will be to mine this rich phenotype dataset for the predictors of disease activity. Identify clinical, laboratory and genomic predictors of disease activity in people with newly diagnosed relapsing-onset MS using cutting edge informatics and genetic platforms. SMS-IC: Co-ordinating delivery of the project as well as being the core provider of the patient health questionnaire (eCRF), SMS Innovation Platform and sequencing of patient Peripheral Blood Mononuclear Cell RNA. NHS Scotland: Lothian, Tayside, Greater Glasgow and Clyde, Grampian. Universities: University of Edinburgh, University of Glasgow, University of Dundee, University of Aberdeen, University College London, University of Californaia San Francisco. SMEs: ThermoFisher Scientific, Fios Genomics and Aridhia Informatics Ltd.